To connect the led directly without a resistor, it is possible only to a power source having a high internal resistance. In all other cases current limiting is needed to prevent diode failure. The definition of the nominal current-limiting resistor is calculated. To determine the rated current of the led is empirically impossible. This device parameter, you must ask the seller when buying it. If you know the diode type, type it in any search engine - it is likely that it will be located reference data, including rated current. 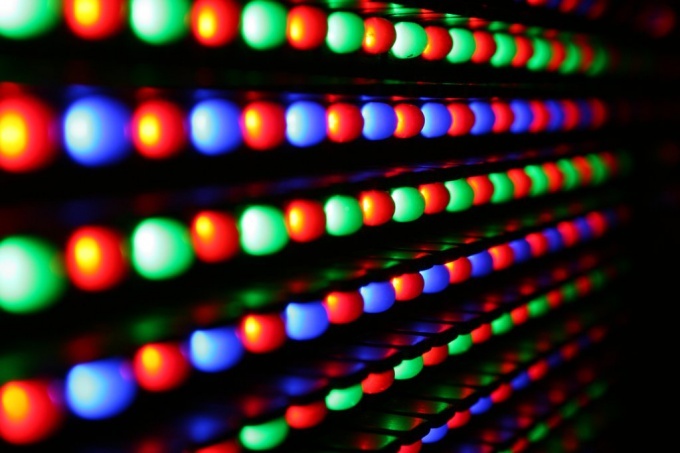 In case no data on the led there, we can assume that the device in the package type SMD rated current equal to 3 mA, round with a diameter of 3 mm to 5 mA, the rectangular cross-section 3 to 5 mm to 10 mA, in a round with diameter 5 or 10 mm to 20 mA. The voltage drop across the led depends on its color. In the infrared it is 1.2 V, red for 1.8, green for 2.2, blue, white and purple - from 3 to 4. Ud - the voltage drop across the led, V.
Inom - nominal current of the led A.
Inom - nominal current of the led A. to Use a resistor of higher power is possible, less not. To improve the overall efficiency of the system if too large a voltage LEDs with the same current rating can be connected in a sequential group so that this chain had about 2/3 of the supply voltage, and the resistor is of the order of 1/3. In this case, before performing the calculation of the nominal voltage of the diodes need to be added.